The creator of Stargate Resistance and an unreleased MMO has fought off a hostile takeover by former employees. 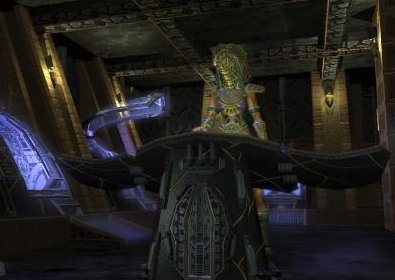 A court ordered the assets of Cheyenne Mountain Entertainment returned to founder Gary Whiting, including all work done on the unreleased MMO Stargate Worlds. Back in February, Cheyenne released Stargate Resistance, a third person shooter, right before it filed for bankruptcy. Former employees formed two new companies, Dark Comet Games and Fresh Start Studios, and these entities attempted to wrest control of both Resistance and Worlds from Gary Whiting's control. Employees of Fresh Start even went so far as to attempt to take computers and other assets from Cheyenne Mountain's offices on Feb. 24th until they were stopped by police. Yesterday, a court in Maricopa County, Arizona awarded all of Cheyenne's former assets back to the company, but it may be too late as the Stargate license agreement Whiting had with MGM has run out. Whiting is cautiously optimistic that he can renegotiate the return of the license. "MGM has been very good to work with us," Whiting said. "We missed several deadlines like that along the way. And I know they're having their own struggles right now." He is referring to MGM's own financial troubles. For Whiting, it has been a very harrowing experience that he equates to the hostile takeover suffered by Tony Stark in the first Iron Man movie. "They took everything I owned and they took - besides my personal property - they took my good name," he said. "When I watched Iron Man, that was my life right there on the screen because of what these guys did to me." The plan worked because the board of Cheyenne Mountain Entertainment was manipulated to fire Whiting, an action the court ordered reversed but not before it was used as the cover to steal all of the company's assets. While the fate of Stargate Worlds is up in the air, but Whiting said that Resistance is ok because the game operated under a different license and is already launched. Whiting did say that Stargate Resistance was being run by a bunch of "promotional idiots" but that's just personal opinion.